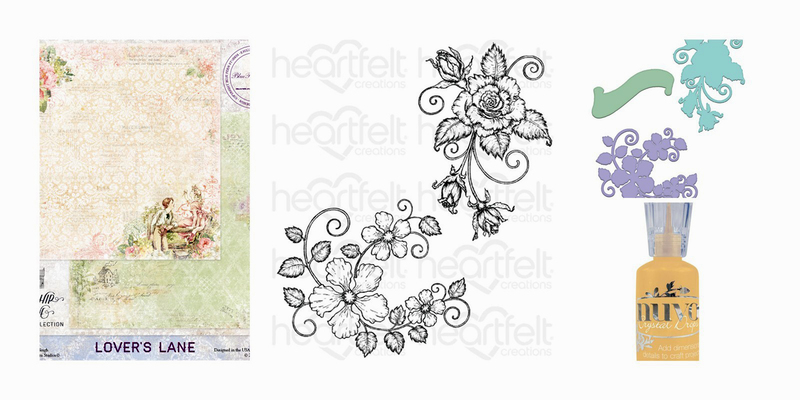 Blue Fern Studio-Courtship-Lover's Lane paper. I used Copic markers to color the roses and leaves. 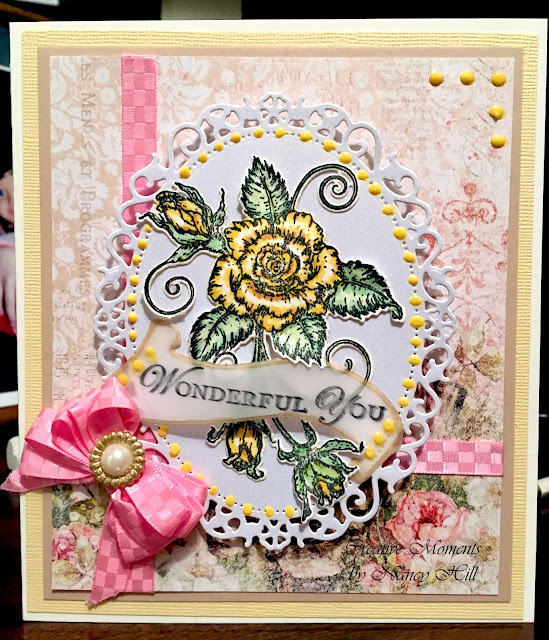 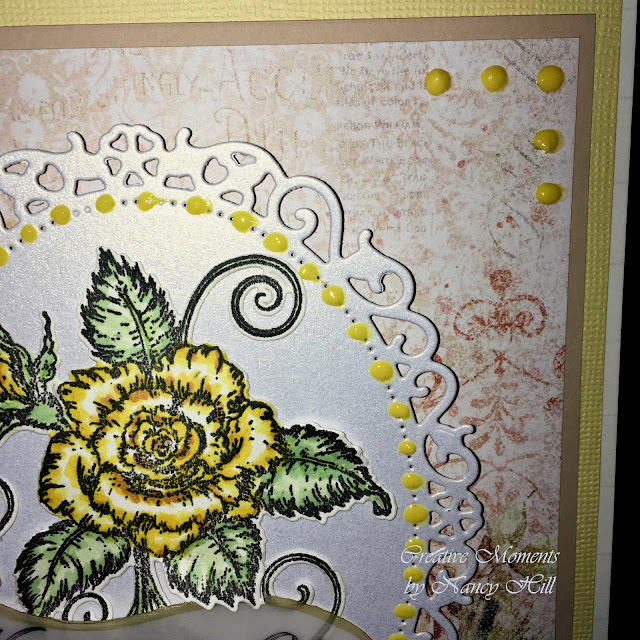 I stamped the sentiment and cut it out using the Heartfelt Creations Blushing Swirls banner from this set.